LFW 2017 Finale: Sunny Leone, Jacqueline Fernandez, Malaika Arora Set The Ramp on Fire As Showstoppers! 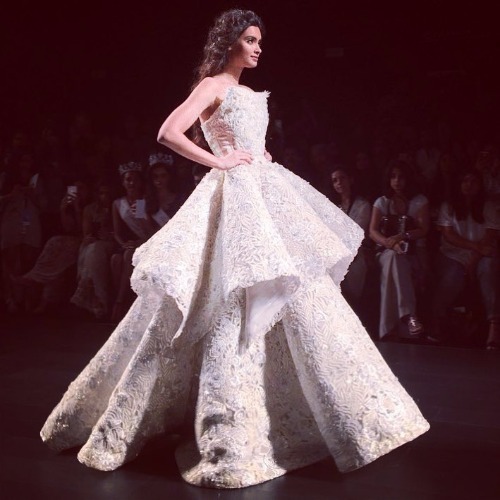 Lakme Fashion Week 2017 came to an end yesterday and it ended on a grandeur note. 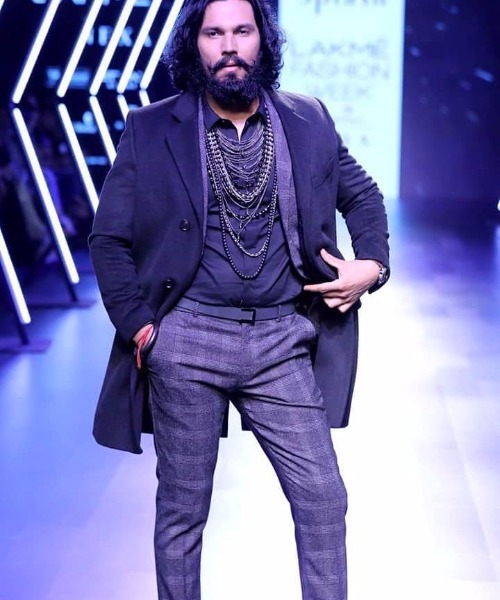 Who’s who of the B-town was seen on the finale of the much talked about fashion event. From Sunny Leone to Aditya Roy Kapur, Jacqueline Fernandez and many others took over the runaway in their best appearances as showstoppers. A few finale acts caught our attention and here’s a low down to what happened on the finale of LFW Winter/festive 2017. Fashion Pick: LFW 2017: Shraddha Kapoor, Preity Zinta, Kalki Koechlin, Radhika Apte Turn Heads As Showstoppers! 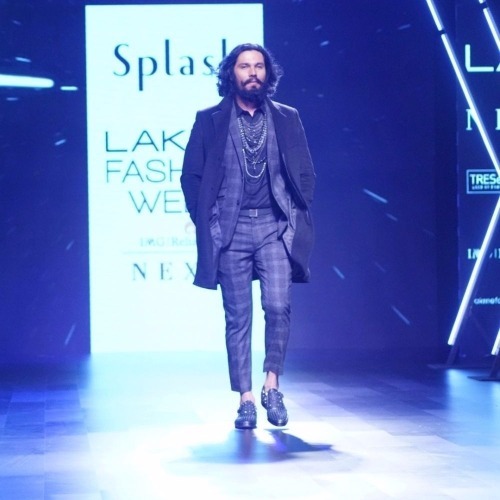 Sunny Leone and Randeep Hooda walked the ramp for clothing brand, Splash Fashion. The two who are the brand ambassadors for the brand, looked stunning in their stylish appearance. Sunny Leone looked ravishing in her silver attire that was covered from neck to toe, while Randeep Hooda made the fashion statement with chequered trousers, studded shoes and accessorized metal chains over his shirt. 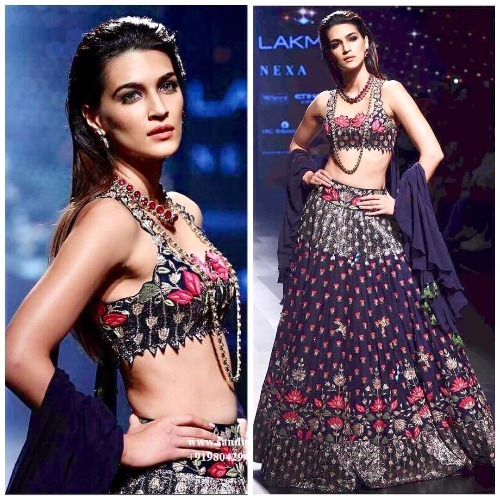 The gorgeous Kriti Sanon turned showstopper for Arpita Mehta at the Lakme Fashion Week Winter/ Festive 2017 on Day 5. The actress looked regal in a dark blue ornate bralet and lehenga with appealing ruffled long trails. The detailing and the embroidery work just made her outfit look out of the world and every girl’s dream to have. 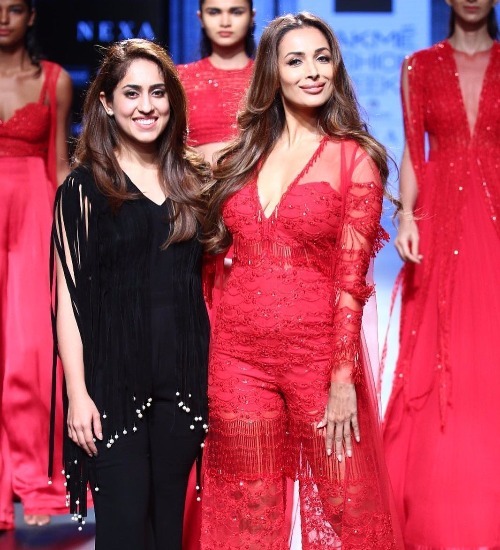 Sensational Malaika Arora turned showstopper for Designer Ridhi Mehra Sekhri’s ‘Adorne’ collection. Well, well, like always Malaika set the ramp on fire with her intense ramp walk. The yummy mummy looked absolutely gorgeous, well-toned in sheer, red, tulle, jumpsuit covered with tassels and a long trail with beaded fringing. 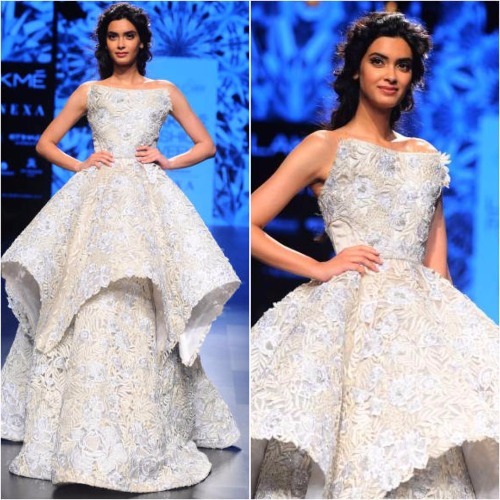 Diana Penty walked the ramp for Hyderabad-based designer Shriya Bhupal for her collection titled, ‘Vignette Vista’. The actress looked splendid in a ballroom structured, floral ivory gown. 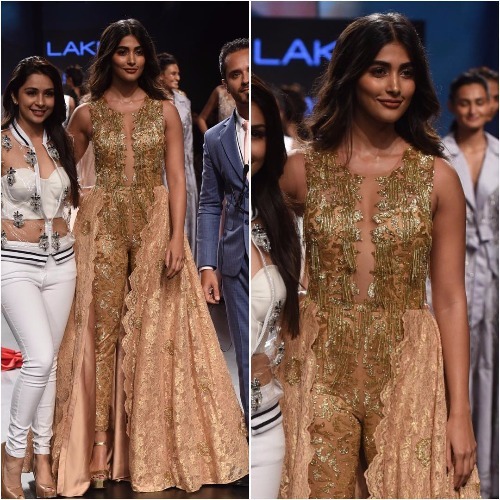 Pooja Hegde turned showstopper for designer Sonaakshi Raaj’s collection ‘Skin’. Looking an absolute diva, Pooja hedge walked the ramp in an embellished gold jumpsuit with a trail. 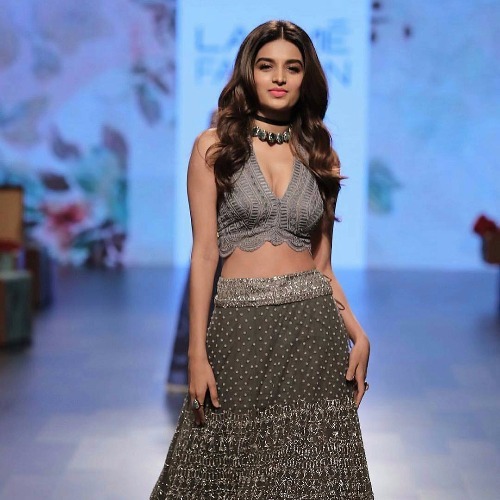 Bollywood debutant Nidhi Agerwal of ‘Munna Michael’ made her ramp debut as showstopper for designer Ananya Birla. 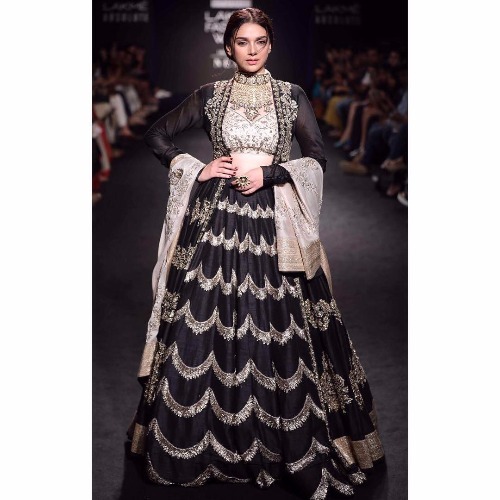 The actress looked elegant in a embroidered lehenga paired with a backless cropped blouse. 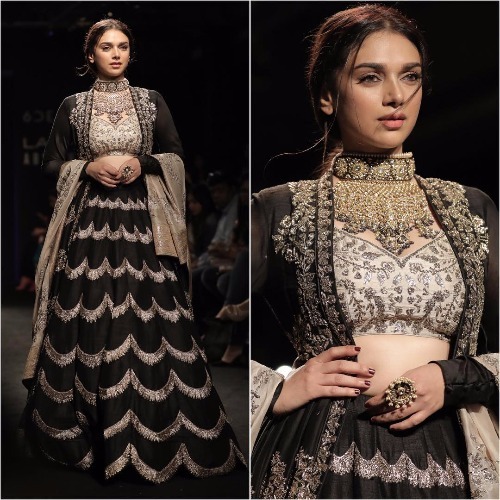 Aditi Rao Hydari turned heads for her appearance in a black full-flared lehenga, maxi Anarkali style jacket, soft gold bandeau blouse and dupatta. The actress dazzled for the Roman Empire, designer Jayanti Reddy. 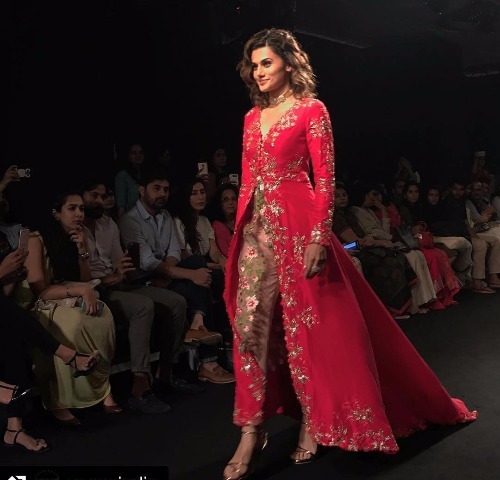 The very talented Tapsee Pannu made a strong fashion appearance for designer Divya Reddy in a stunning floor-length, long-sleeved, embellished jacket over a sheer delicately embroidered golden piece. She was totally a picture of elegance. 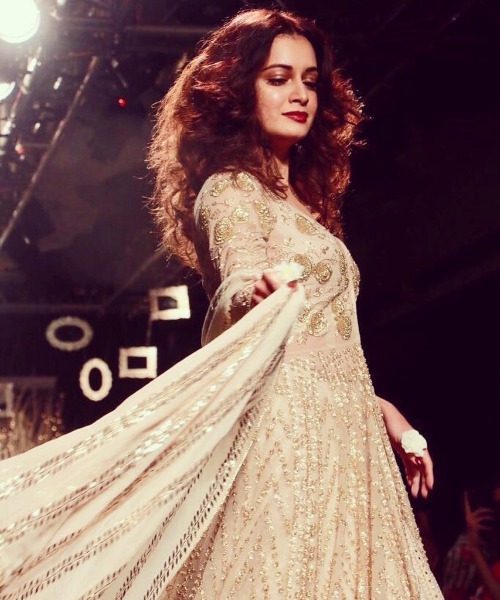 The very gorgeous and the beauty queen, Dia Mirza walked the ramp for designer duo Kusum and Karishma Luharuwal for their label Faabiiana. Dia has to be the first choice as a showstopper when it comes to making a fashion statement for Indian wear. 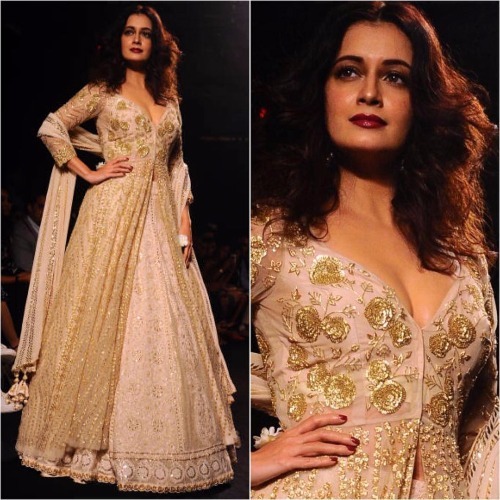 The actress showcased the elegance as she took over the ramp in a fully embroidered deep ‘V’ neck, floor-length Chikankari jacket and ghaghra. 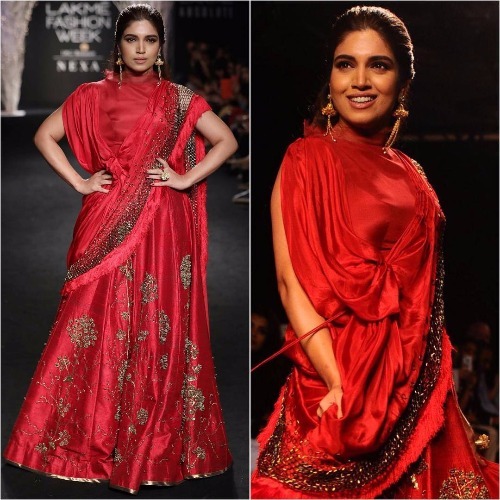 Bhumi Pednekar walked the ramp for designer duo Ruchi Roongta and Rashi Agarwal for their label ‘Ruceru’ offered the collection titled, “The Fallen Leaves”. Bhumi, who is not into fashion, made a beautiful appearance in a red floral, embroidered Ghaghra. The way the dupatta was draped totally stood out. 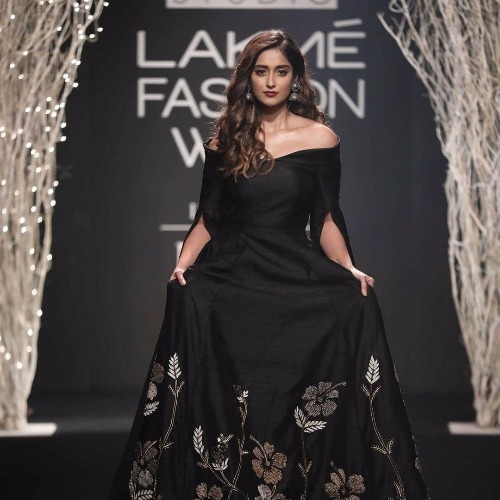 The very hot hot Ileana D’Cruz walked the ramp for Nancy Luharuwalla’s label ‘De Belle’. 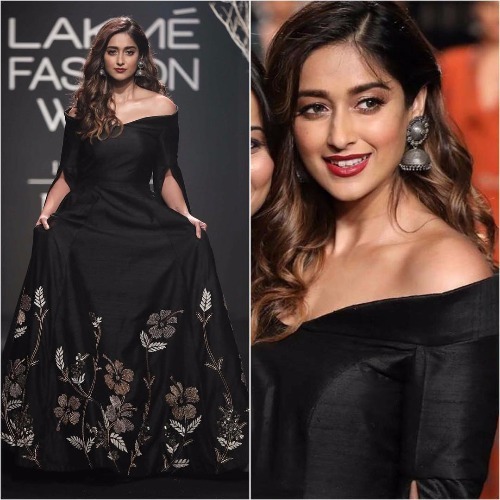 Damn, Ileana left everyone envy as she took over the ramp in a black off- shoulder, full-flared dress with floor-kissing sleeves featuring floral motifs. 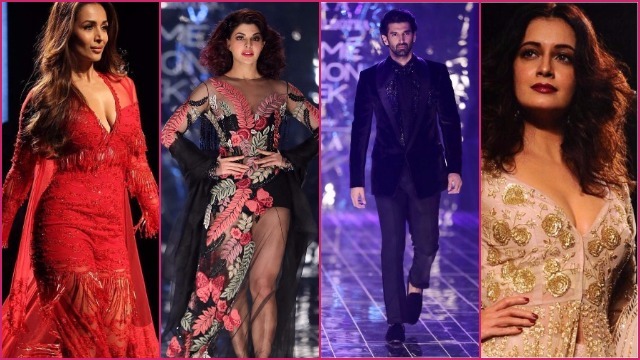 The day 5 ended on a higher note as Jacqueline Fernandez and Aditya Roy Kapur took over the runway for ace celebrity designer Manish Malhotra. 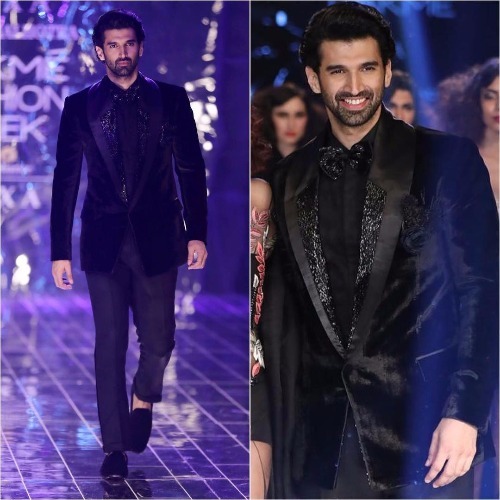 Titled “Tales of Indulgence”, the collection for the show marked Malhotra’s plunge into bespoke tailoring.Aditya looked dashing in a black, velvet one-button jacket with a black embroidered lapel. On the other than, Jacqueline looked gorgeous in a long-sleeved, embroidered, net floor- skimming, beaded outfit worn over black hot shorts. Manish Malhotra’s show was attended by an array of Bollywood stars including Sridevi with her younger daughter Khushi, Karan Johar, Shabana Azmi, Kiara Advani, Shriya Saran, Sushant Singh Rajput, Tiger Shroff, Disha Patani, NehaDhupia, SoorajPancholi, Karisma Kapoor. Next : Bigg Boss 11: Is Dhinchak Pooja And These 12 Contestants Are Finalised In Salman Khan’s Show?